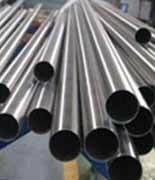 Titanium Alloy Pipe, Titanium Pipes, Titanium EFW Pipes, Titanium Seamless Pipes, Ti. 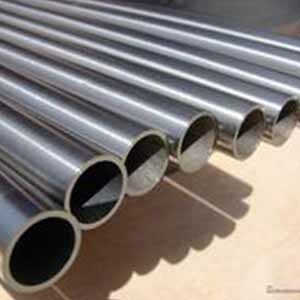 Alloy Seamless Pipes, ASME SB338 Titanium Pipe Suppliers and Exporters in Mumbai, India. Titanium ERW Pipes, Suppliers of ASTM B337 Titanium Seamless Pipes, Titanium Welded Pipe Exporter, Titanium Pipe Manufacturer in Mumbai, India. Ganpat Industrial Corporation is an eminent manufacturer, supplier and trader of a vast range of Titanium Pipes, which is available in best prices for our clients. With moderate strength and excellent corrosion resistance and formability, Titanium Seamless Pipes represents the most widely used form of titanium. These Titanium Alloy Welded Pipes is typically used in applications that require superior corrosion resistance in various aggressive media. 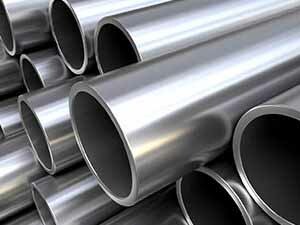 Titanium Pipes offers high corrosion resistance and a greater working range than aluminum. These Titanium Pipes also offers excellent corrosion resistance, superior formability and strength between grades 1 and 3. 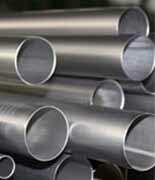 Titanium Round Pipes is the most commonly used and widely available grade of unalloyed titanium. 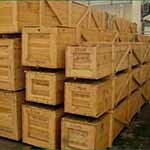 Meanwhile, these Titanium Pipes are also being offered in different sizes and shapes to our customers. 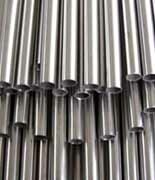 Ganpat Industrial Corporation is a known manufacturer and exporter of Titanium Pipes, which has different elements such as such as molybdenum, silicon or vanadium. Biocompatibility of these Titanium Pipes is excellent, especially when direct contact with tissue or bone is required. Titanium Hexagonal Pipes is used in applications requiring moderate strength and major corrosion resistance, which include: Aerospace structures, Chemical processing, Medical industry, and Marine industry. These Titanium Hallow Pipes is used in high strength applications, applications requiring materials that meet applications requiring more strength. 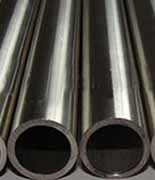 Titanium Welded Pipes, Titanium Pipes, ASME SB338 Welded Titanium Pipes, Titanium Seamless Pipe, Titanium ® Pipes, Titanium Welded Pipe Manufacturer in India. 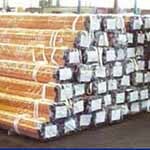 Titanium Seamless Pipe may be furnished bare or coated and with capped ends. pipes up to 3” OD will be supplied in bundles. In order to prevent rust during sea shipment, bundles of Titanium Seamless Pipe may be wrapped with polypropylene sheets, and secured with flat steel bands. Over 3” OD will be supplied loose.